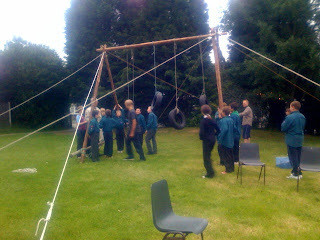 One of the highlights of the scouting calendar is the construction of pioneering project. This year we made a climbing frame with tyres for clambering across. This could only be achieved with the pioneering skills developed over the past few weeks. A range of knots and lashings held the two A frames together.